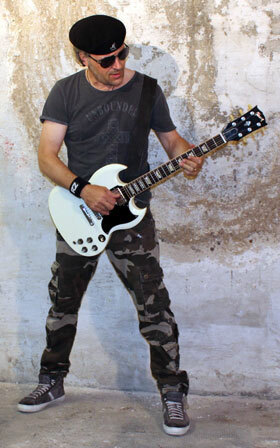 Tom Schaupp, singer, guitar player, song writer and founder of the band combines two things that are essential for the band: He’s singing the songs so easy-going and cool just like he’s playing them. His special voicing provides the band a special touch which makes them recognizable. Thereby he is always close to the audience, very catchy. His kind attitude comes with a twinkle in his eye and around him it never gets boring.